Yet even MORE narrow gauge! 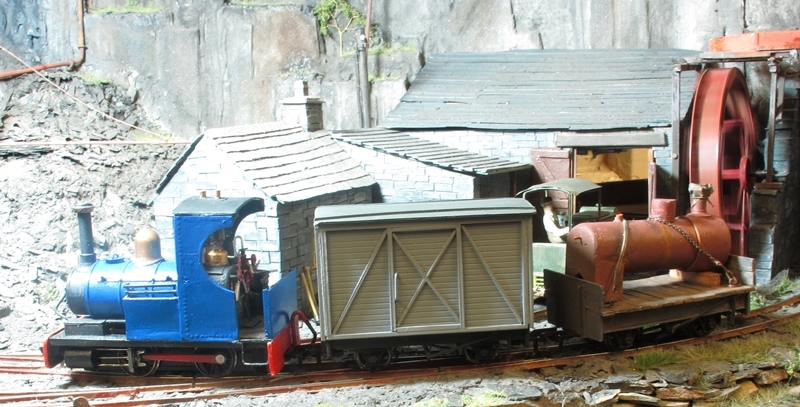 It's been a couple of weeks now since I updated this blog and I have to report that I am still hooked on 7mm scale narrow gauge! Some progress on projects already started. First of all the diesel shunter. 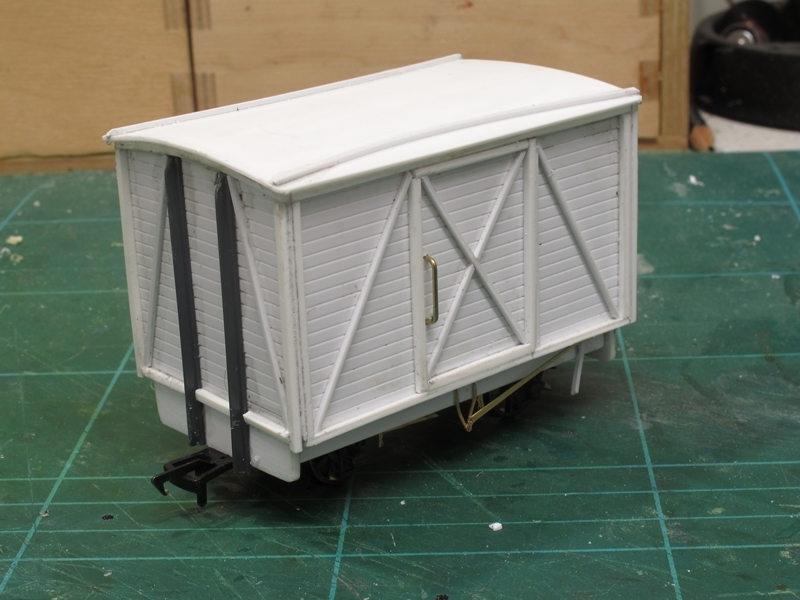 All painted, needing glazing, the roof fixing properly and a coat of Testors after a light weathering. The flat bed machine truck. Another project that has been in the draw far too long. I dragged it out and painted/weathered the wagon and deck. (made from good old coffee stirrers) The boiler load was knocked up from some 20mm plastic conduit and Plasticard. Here's a shot of one of my locos and stock pictured on Garry Hinson's 0-16.5 NG layout "Welsh slate"
Yet even more 7mm scale narrow gauge projects! 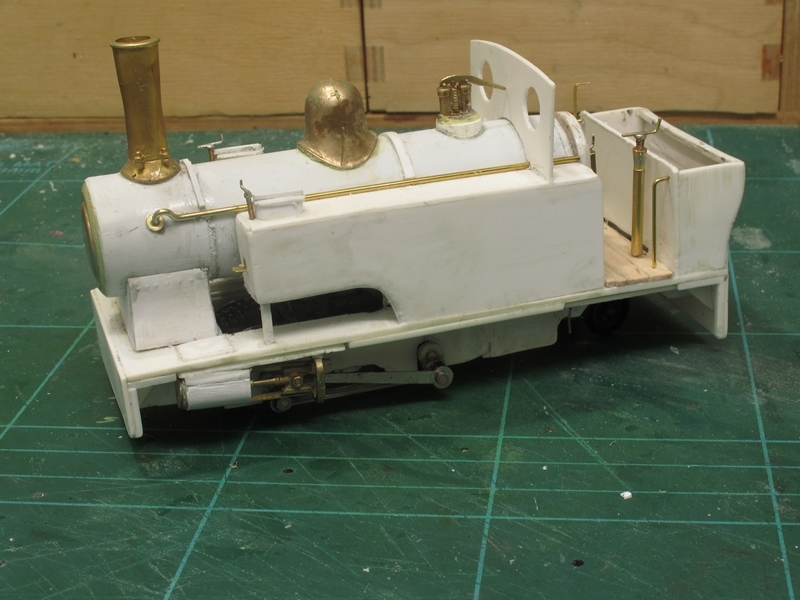 It seems as if I have now got the bug for 7mm scale narrow gauge (0-16.5 scale) so much so that I am finding it very hard to put the stuff down and get on with other jobs on my 00 gauge stuff. It really is such a nice scale to work with, and you can be as creative as you like if like me most of your stock is of "Freelance" origins. Anyway, without waffling on too much here's this weeks work in pictures. 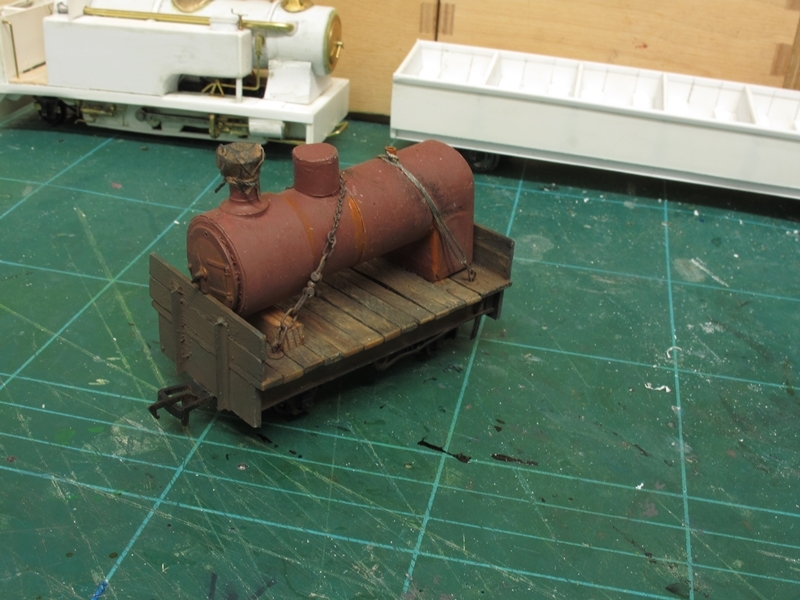 First of all a good start has been made on this Bagnall inspired 0-4-2T. The other job this week was this general merchandise van. Again Plasticard and micro strip are the main components along with etched brake gear from a Mainly Trains 4mm scale fret of Morton brake gear. 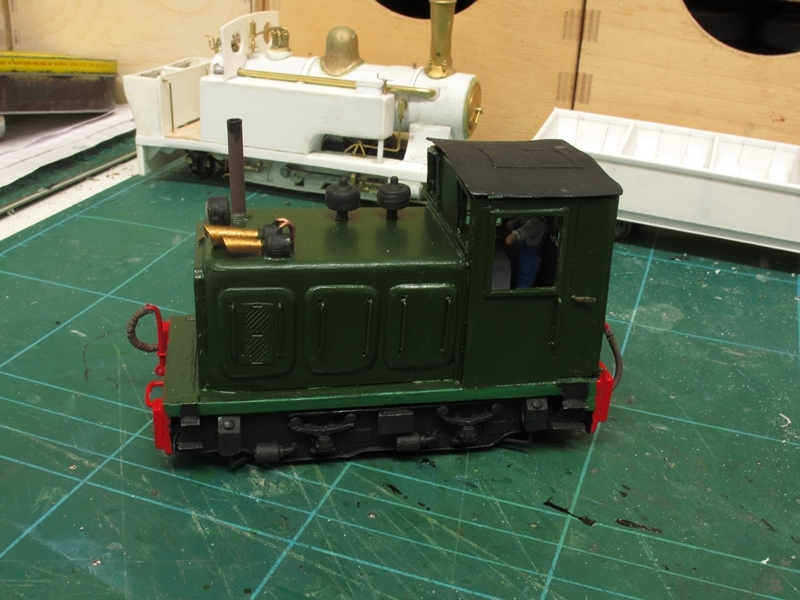 The body is sitting on a Dapol 10ft WB 00 gauge chassis. ( that's 40mm or 10ft in 00 scale!) Note that I am using Bachmann tension lock couplings, not too much out of place in this scale/gauge I don't think. The van was a 1 day project, I started on it Friday morning at 09:30 and got to the "Ready to paint" stage seen above by 16:30 ! not bad considering I had a few coffee,fag,meal and personal needs breaks! I must put this lot away though I MUST get back to doing some 4mm stuff again. See next weeks posting to see if I resisted the temptation of more 7mm Narrow Gauge!